The Accutrend Plus system is a flexible, hand-held point of care device for the main risk factors of cardiovascular diseases (CVD) and lactate. 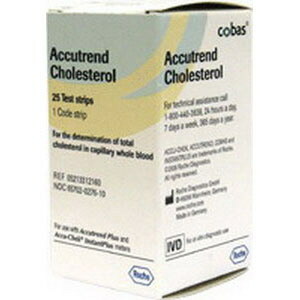 Convenient and rapid detection of Cholesterol, Glucose and Triglyceride as well as determination of blood lactate level from capillary blood. Yellow protective mesh, impregnated with a surfactant (application field). A glass fiber fleece that works as a separating layer for blood cells). A reaction film in which the color formation takes place and). A bar code on the reverse side, which is read by the meter to confirm test strip identity.